Nowadays, not a single real-estate agency or broker is sufficiently known without a web presence. However, launching a good real estate website takes going an extra mile to power the property search and submissions functionality, which is vital to ensure the usability of your website. To get a real estate website with this functionality on board, go for 20+ real estate WordPress themes, HTML templates and Joomla designs that we present in this post. Why These Themes Will Suit Your Needs? Firstly, every novice in web design can choose a drag-n-drop friendly template that’s shipped with the builder on board. With such a theme, you need next to know knowledge to tweak the design of the template and add the content. Secondly, the themes we introduce capitalize strongly on incorporating the much-needed niche-related functionality. They incorporate CRM systems, admin dashboards, frontend/backend property submissions, extended accommodation search forms, appointment booking systems and many other features to turn your real estate website into a leading property search tool. Thirdly, a number of themes in this post incorporate several Home Pages/skins. So, you can choose the design and layout you love most and further adjust its appearance with the comprehensive options. Finally, not a single theme in this list screws it up with adapting to the needs of different screens and browsers. So, it doesn’t matter which device and browser your clients use, they’ll always enjoy a smooth and coherent browsing experience. What Types Of Real Estate Themes Are Featured Below? WordPress themes, running on the most popular and well-loved CMS. Joomla themes, running on the settings-rich and multilingual-ready Joomla CMS. 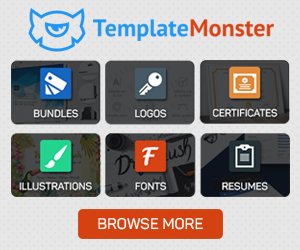 HTML templates that give full freedom to those of you who know HTML and CSS coding. At the same time, some of the HTML templates also incorporate a visual builder, which makes them newbie-friendly. Landing page templates, which are penny-wise options for introducing your agency or a single property to the web audience. Are you ready for an enthralling journey? Let’s get started! In our society video has become an important part of the product presentation and an independent product. Thanks to the growing popularity of smartphones, tablets, and good cameras, people make a lot of videos. I am sure, many people know and understand what a blog is. Today we will talk about a video blog. A video blog is a blog in which information is presented in a video format. Vlog (video blog) is a great way to create your own platform for business, which will definitely be relevant and successful because nowadays people prefer watching videos to reading. If you launch a channel on YouTube, there should be any difficulties – make and upload videos, and collect views. In case you are serious about video recording, it may be a high time to create a unique and professional website to showcase your work. Moreover, this will allow you to get more potential customers and business proposals. WordPress platform is a great solution to create a professional website with no time and efforts. Your new website, designed in a unique style, will quickly make your brand recognizable. WordPress themes one page are a good catch for business and personal websites of all types. You will get a bunch of benefits like an eye-catching design, convenient navigation, and numerous customization features. To supply your design with extra functionality, you will easily utilize a pack of plugins and widgets included. 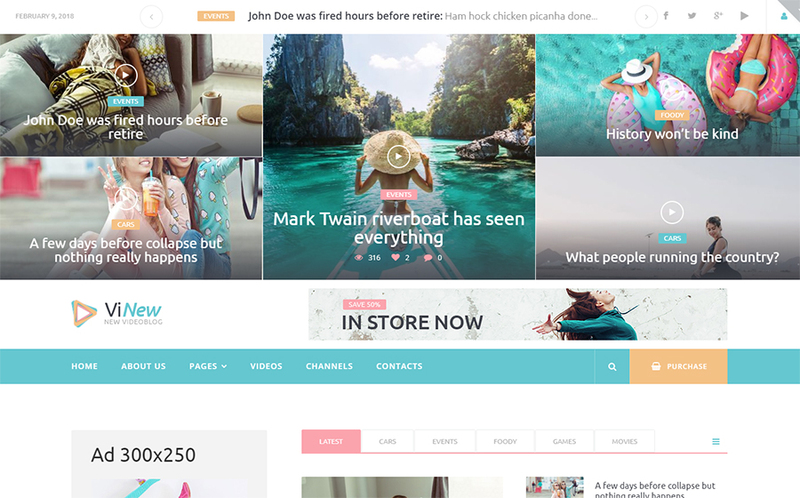 Here’s a collection of the best 20 WordPress themes to help you create a video blog with all the features you need for such a website. WordPress is favored by bloggers all across the world, and qualifies as one of the most popular blogging platforms on a global scale. Make your WordPress your own; customize, enhance, structure and more, by shifting your attention to great plug ins that are worth investing your time and money!